18Shake is a well-known meal replacement shake designed by a company named 18Nutrition. It is also referred to as a “luxury meal replacement” which means it contains high quality and natural ingredients without artificial flavoring or sweeteners. This weight loss shake contains only 90 calories per serving and is available in four flavors: chocolate, vanilla, cookies and cream, and strawberry. Increased energy and metabolism for faster burning of fats. Has duo-protein formula for quick weight loss. With high fiber content that effectively curbs the appetite. Contains potent ingredients that are free from gluten and soy. Has natural sweetener and flavoring without the additional calories. Read the newest feedback on 18Shake. Please leave your own review if you have already tried this meal replacement shake. The chocolate is like a watered down chocolate drink, but it’s not bad compared to the last one I tried. I settled for 18 Shake because it doesn’t have an aftertaste and I don’t feel hungry all the time. In fact, I am eating less now and I don’t crave for snacks all the time. I do wanna eat chips at times, but I don’t eat that much anymore. I will definitely recommend this to anyone. Taste is better than the others I tried. I cut the servings in half so one pack lasts over a week or so. But still, I find it too expensive for me. I already finished 2 packs and I’m at my 5th week of drinking the shake to replace two meals a day. I get hungry sometimes so I eat unsalted crackers between meals. So far, I lost 8 pounds in 5 weeks. I have been using 18 Shake for six months now. It’s my favorite after trying so many brands. Tastes nice, and it’s not too thick. I like my shake a bit watery. I don’t get hungry for 3-4 hours, especially when I add some fruits to the shake. If you do this, the taste will be much better. I lose an average of 7-9 pounds per month since starting on this shake. I only tasted one sachet and didn’t finish the whole glass. The shake was too sweet I can’t take it. I returned the rest to the manufacturer and it’s my third week waiting for my refund. I have bought 6 packs so far. First three packs were chocolates and now my vanilla stocks just arrived. Both taste awesome. The best part is I lost 15 pounds during the 2 weeks of drinking shakes 2 times a day and drinking lots and lots of water. The one full meal I eat is not very strict, I eat anything that comes to mind at lunch so I don’t feel bad about not being able to eat. The only downside is the price. It’s ridiculously expensive so I will keep looking for a cheaper alternative. Until then, I’ll be sticking with 18shake. 18shake rated 3.4/5 based on 25 reviews. 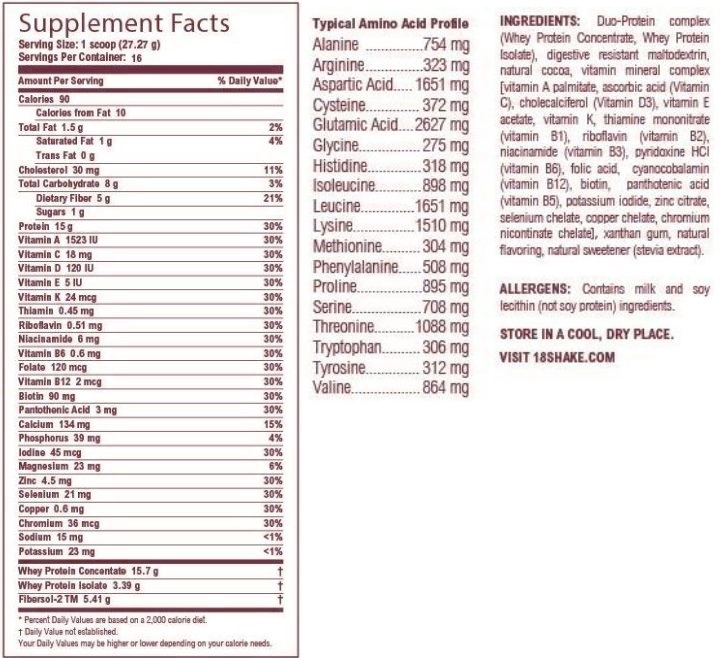 Below are the active ingredients of 18shake. Whey Protein Concentrate: A form of protein that is extracted while making cheese. This low fat and low carb ingredient contains around 30% to 80% protein. Whey Protein Isolate: Has more protein concentration than Whey Protein Concentrate (at least 90%). This ingredient is mostly used in protein shakes as it is low in fat, lactose, cholesterol and calories. It also helps the body repair and create more lean muscles. Fibersol-2 (Maltodextrin): A natural appetite suppressant that is patented by 18 Shake. Stevia Extract: A sweetener that is used as an alternative to sugar, this ingredient has zero calories and does not affect the blood sugar levels. 18shake must be consumed once or twice a day as a replacement for a complete meal. The manufacturer claims that the shake contains the same nutrients found in a full meal so you can’t go hungry after drinking this. This shake, however, must not replace more than two meals as it is designed to be a part of a healthy and balanced diet. The package comes with a free dietary eBook that must be followed while using the shake. 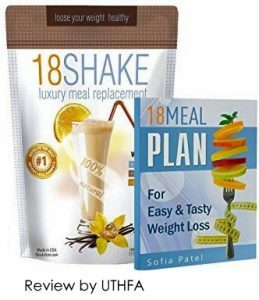 Although the manufacturer claims that 18Shake is effective without exercise, it is recommended to add a diet plan for best results. Contains 1 gram of Stevia per serving, so it tastes good without the negative effects brought about by too much sugar consumption. Proven effective for suppressing the appetite. A quicker solution to weight loss compared to other meal replacement shakes. Contains high-quality dual protein formula making it a low-calorie meal replacement shake. Has all-natural ingredients without stimulants. 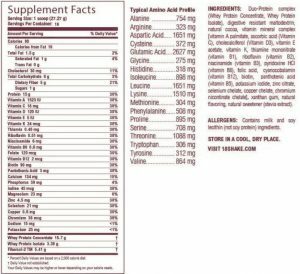 Has an added vitamins and minerals to encourage better overall health. The company does not participate in the monthly auto-ship program. The online store is sometimes out of stock. There are no reported side effects of using 18 Shake because it is made with all-natural ingredients. 18Shake is available for purchase directly from their website for $47.99 per bag (one bag contains 16 servings). Each order comes with a free meal plan e-book that normally costs $20. They offer free shipping to six countries: USA, Australia, Canada, United Kingdom, Puerto Rico and South Africa. The product is also sold in Amazon in packs plus a free e-book. The 3-pack lot costs $169.99. The official website offers a 30-day money back guarantee. Orders are eligible for a refund only if one sachet is used from the pack. The customers must also pay for the 20% restocking fee. The company can be contacted by phone at 1-800-614-1820. You can also send them an email at [email protected]. According to the website, 18Nutrition is based in Los Angeles, California. However, they have their own fulfillment service located in Georgia, where the product is shipped from. They have a BBB profile with an F rating because of negative reviews and customer complaints. However, the manufacturer claims that their product has gone through years of research and was refined by a group of weight loss specialists and nutrition enthusiasts. 18 Shake is prepared in a GMP approved facility located in the US to ensure that the company consistently produce high-quality batches. Below are older reviews for 18Shake. I drink this usually in the morning when I’m rushing and at lunch because I’m very busy at work and I want to get things done fast. I’ve tried all four flavors, and my favorite is the strawberry flavor. I tried adding 2 sachets to an 8 ounce of water, it tastes much better. I also always add almond milk to my shake, tastes much better! I drink this shake at lunch and dinner. My workplace is really strict so I had to prepare lunch all the time or eat nearby. We literally don’t have an hour for lunch, and the food around our area is not that great. Since getting my stocks of 18 Shake, I started taking 1 sachet for lunch. It is so convenient, I don’t have to bring packed lunch to work. The taste is not as described. It’s not good-tasting at all and tastes like fake chocolate. I also don’t like that it is too watery. I will finish the pack since it is very expensive but won’t be buying again. Sorry, I don’t like the taste. I prefer another brand that tastes like real chocolate. I requested for a refund and I have been waiting for more than a month now. I called again and they told me that they will expedite the process. I’m hoping to receive my refund soon. I bought 3 packs thinking it was good for three months. Turns out, the shake must be taken once in the morning and once in the evening so the 3 packs only lasted 24 days. It’s too expensive I should say. Super sneaky! Plus the eBook is only 12 pages. If you search Google for weight loss tips, that would be better than getting the eBook.